Why Is Mammogram Advice Still Such A Tangle? Ask Your Doctor : Shots - Health News Leading physicians' groups don't agree about when and how often women with an average risk for breast cancer should get a screening mammogram. But your history can help guide you and your doctor. A woman's health history and tolerance for different kinds of risks should have a legitimate role in determining the timing of when she starts and stops getting screening mammograms, some leading doctors say. Stephanie Nichols is a stay-at-home mom in Boston. She's 44 now and says she first thought about getting a mammogram when she turned 40. "I had heard from a number of friends all around the same age that they're all getting mammograms," she says. So it came as no surprise when her doctor brought up the topic at her next routine exam. But what was surprising, she says, was that, after discussing family history and personal health, her doctor determined that because Nichols was not at high risk for getting breast cancer, it was probably too soon to get that first scan. Together, they decided to postpone her first mammogram screening test until she was 45. Nichols says she felt comfortable with that decision, "knowing that my risk for breast cancer was low compared to the risk of having to have more invasive procedures such as biopsies or lumpectomies." She's right about the statistics. Researchers say that, across a 10-year period of getting annual mammograms, women overall have a 50-50 chance of being called back at least once for further testing that turns up nothing cancerous. And that's one reason why the American Cancer Society changed its advice Tuesday. It now recommends that instead of getting that first screening mammogram at age 40, women who don't have an increased risk for breast cancer can start the screening later — at age 45. But even that advice starts the screening too soon, according to the U.S. Preventive Services Task Force, which still advises most women of average risk to wait till they're 50. Meanwhile, the American College of Obstetricians and Gynecologists still suggests most women get their first screening at 40. So, which advice is best for you? 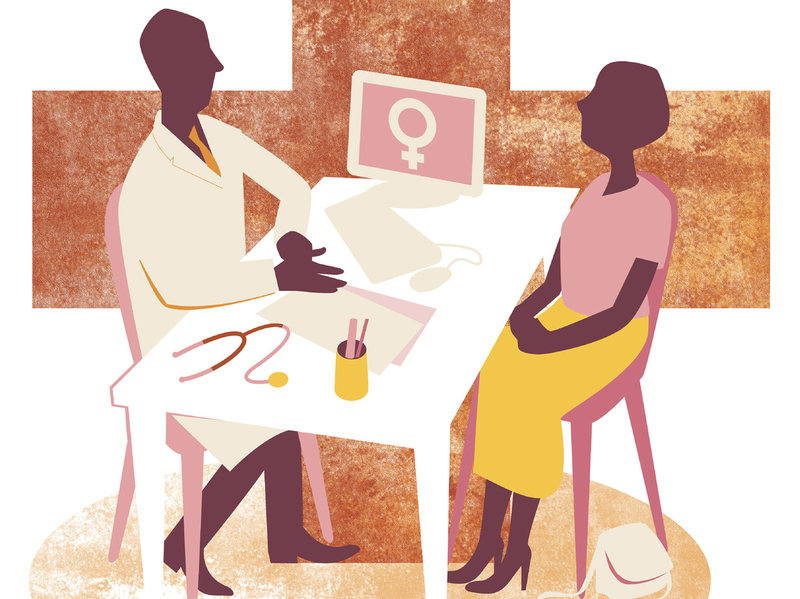 Dr. Lydia Pace, an internist and primary care doctor at Brigham and Women's Hospital in Boston, describes a "really wide range in the way women approach this question." She says some women come in already knowing they want to start screening at age 40; some ask about screening even before age 40; and some are seeking a more nuanced conversation with the doctor about the particulars of their situation. And Pace says that discussion with your doctor is absolutely the best approach. If you're at higher risk than average — if your mother or sisters or aunts had breast cancer, for example — it might be reasonable to start screening at 40. Other women who are very worried about getting breast cancer may reasonably start at 40, too, Pace says. This might include some women, for example, who have had strong personal experiences with family or friends who got the illness. "That may be a much more powerful influence for them than any conversation we can have," says Pace. And that's OK, she says. These women could reasonably decide that, for them, the increased peace of mind they'll get with a clear mammogram outweighs the increased risk that they'll also have to undergo further expensive scans, unnecessary biopsies and other testing. If you wish the evidence about when and how often to screen for breast cancer were more clear-cut, or that the leading groups of doctors offering advice could get on the same page, you're not alone. Lots of doctors are frustrated too. Dr. Laura Esserman, who directs the University of California, San Francisco Breast Cancer Center, notes that every year, roughly 40,000 women die of breast cancer. What's most important now, she says, is putting energy into finding reliable solutions instead of "arguing about it." Part of the problem, she says, is that the data everyone's basing their argument and recommendations on are 30 to 40 years old. She says the studies "were done before we had modern treatments for breast cancer, before we knew about the different kinds of breast cancer, before we understood a lot about breast cancer risk." "And so it's high time we do a modern trial where we put some new ideas to the test," Esserman says. She recently received a grant to see whether a personalized approach, like the one Nichols worked out with her doctor, is as safe and effective at catching aggressive cancers as yearly mammograms starting at age 40. In the meantime, when should women stop getting screening mammograms? That too, for now, depends on whom you ask.